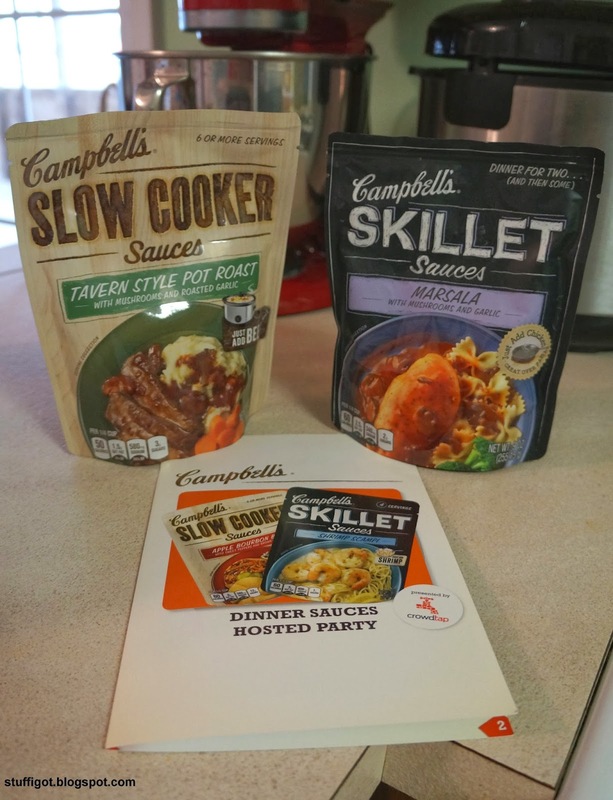 DISCLOSURE: I received coupons for a free package of Campbell's Skillet Sauces and Slow Cooker Sauces from Crowdtap to try and review. All opinions are my own. In our family, my husband is the cook. I'll bake, but I'm a terrible cook. There are only a handful of dishes that I know how to make and if I do try to make something else, I have to follow a recipe. While my husband does make the majority of our meals, there are a few days during the week where I'm responsible for getting dinner made for the family. So, I'm always on the lookout for things that help make that task easier. 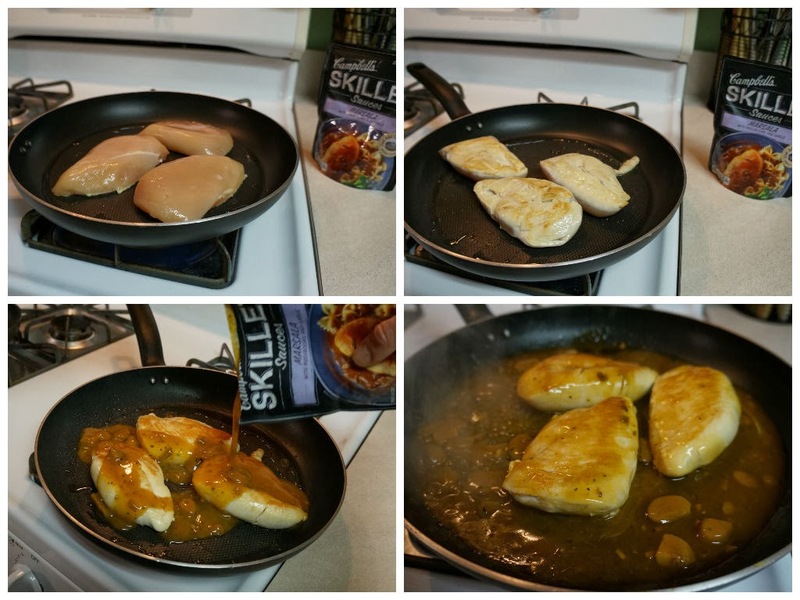 Recently, I had the opportunity to try the new Campbell's Dinner Sauces. 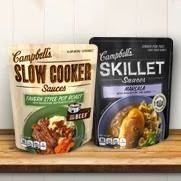 I was given a coupon for a free package each of the Campbell's Slow Cooker Sauces and the Campbell's Skillet Sauces. 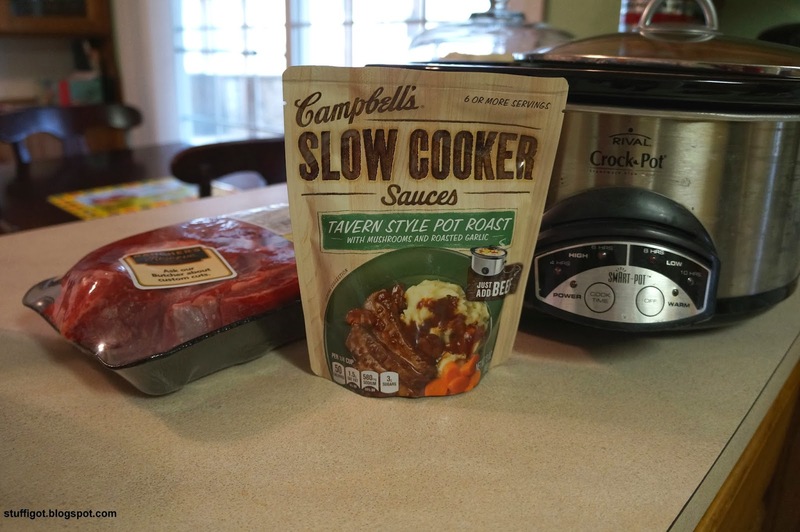 I chose to try the Marsala Skillet Sauce and the Tavern Style Pot Roast Slow Cooker Sauce. I started with the Slow Cooker Sauce, since it takes longer to cook. It's so easy to make. All you need is your meat, the sauce and your slow cooker. 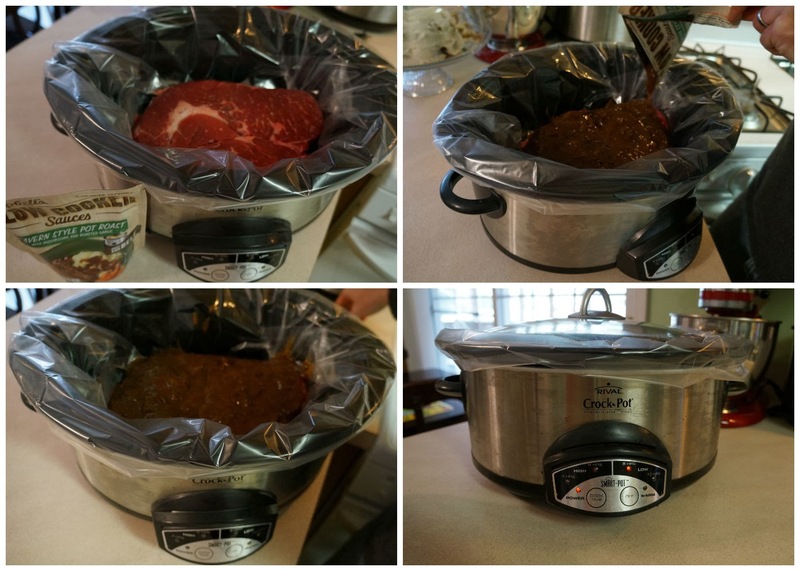 I used a slow cooker liner to make clean up even easier. 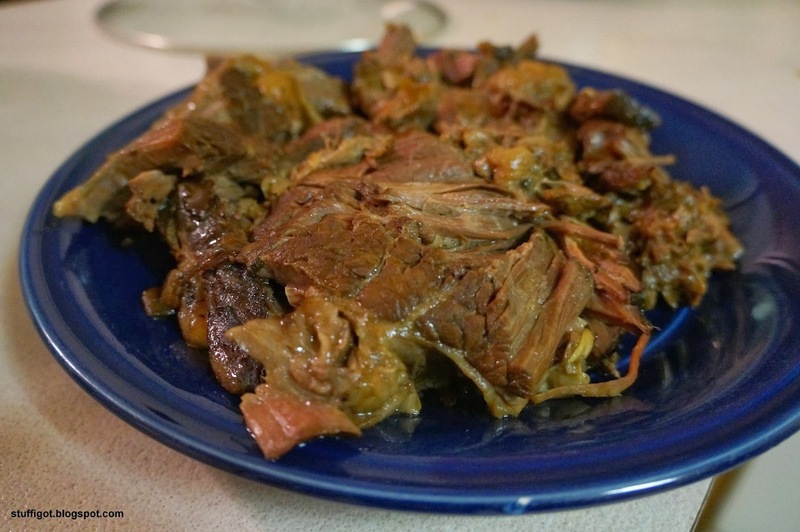 I placed the boneless chuck roast into the slow cooker, poured the sauce on top of the meat, set the slow cooker on Low and let it cook! The pot roast turned out pretty good. The meat was tender and flavorful. Though, it could have used some potatoes and carrots and celery -- things we normally throw into the slow cooker when we make pot roast. Next, I tried the Marsala Skillet Sauce. This was also pretty easy to make and only required a few things: chicken, some vegetable oil, the sauce and a skillet. After browning the chicken in some vegetable oil, you pour the sauce over the chicken and cover and simmer for 5 minutes. Then, serve it over rice or pasta. 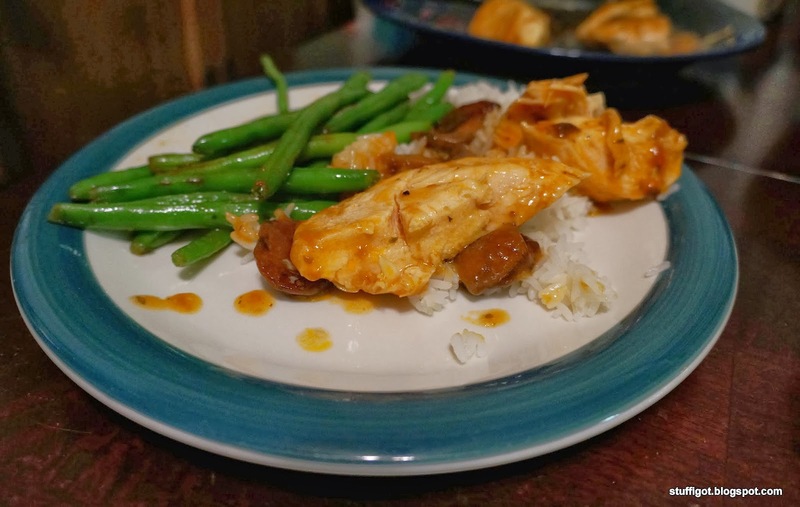 We served the Marsala Chicken over rice and with some steamed green beans. It was pretty tasty. Even my husband was impressed with it. Yes! 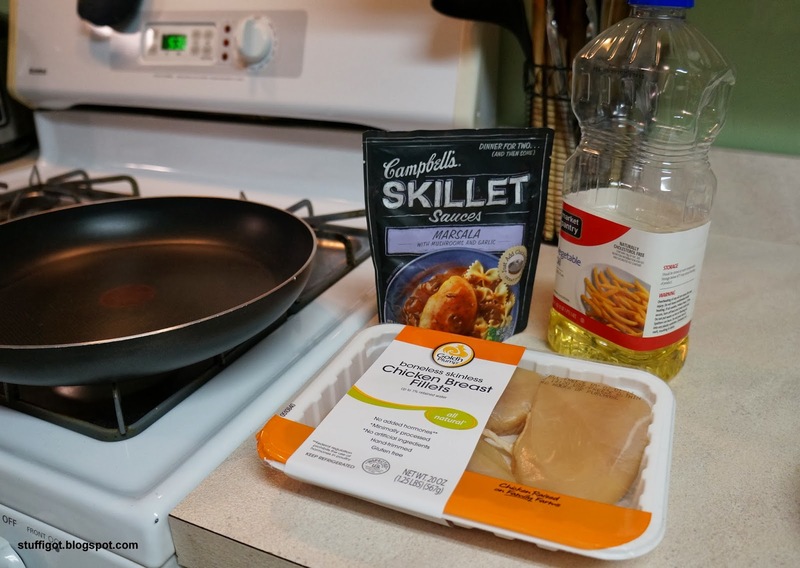 The Campbell's Dinner Sauces made preparing a meal easy and delicious. I'd definitely buy it again. I'm looking forward to trying all the different varieties! How much does it cost? A packet retails for about $2-$3, depending on where you buy it. Where can I buy it? You can find it at mass merchandisers, grocery stores and online retailers. I'm a Disney Side @Home Celebration Party Host!